There is a new addition to the Vintage line at ELEMENTAL JEWELRY! I'm wearing the Vintage ~ Sparkling Elegance Emerald Necklace & Earrings. This is a classic set of jewelry with faceted, sparkly beads in a vivid green emerald linked with silver. 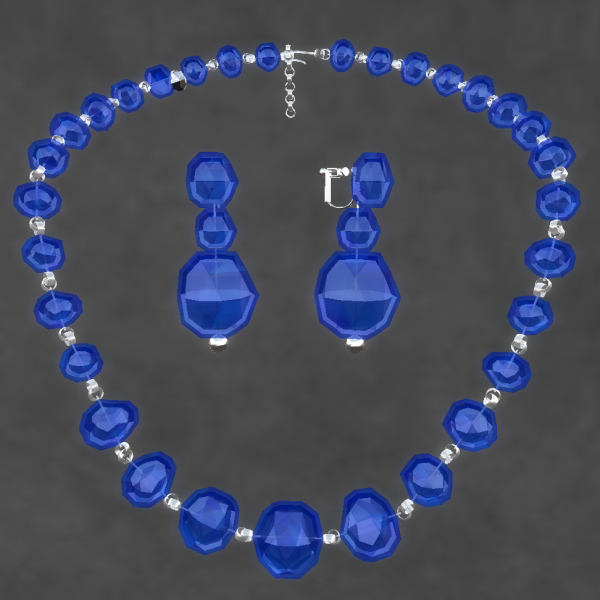 Sparkling Elegance is also available in blue Sapphire and red Ruby! The necklaces are resizable so you can fit them to your own avatar, and the earrings feature a vintage screw-back clasp. 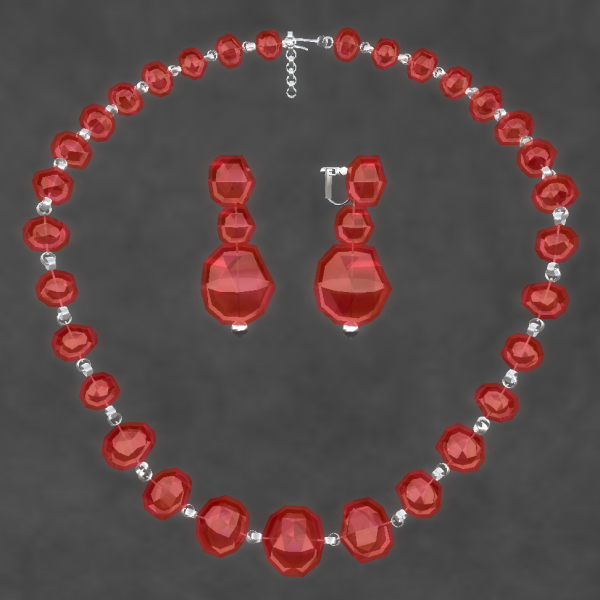 The necklaces & matching earrings are packaged together as sets. All three sets are on sale this weekend in the 60L Weekend Sale--that's L$60 for both necklace & earrings! Hair: Truth Paige in carrot. Skin: Mamboo Chic Anka--a gift from the lucky board--Thanks MC! Makeup: Musa eyeshadow and lip tint--May/July 2011 gift--Thanks Musa! Dress: Sascha's Designs Helios in moss green.